This limited edition serigraph on archival paper is created by Peter Max, one of America’s most renowned contemporary artists. His distinctive artwork has evolved from the 1960’s through today’s vibrant Neo Pop. 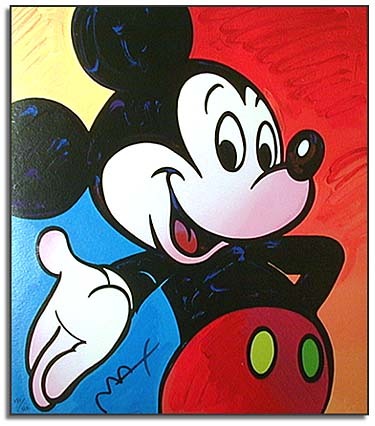 His Disney Character series includes many of the studios favorite cartoon and film characters in multiple variations of color. Each serigraph is individually signed by Max, then numbered by hand.